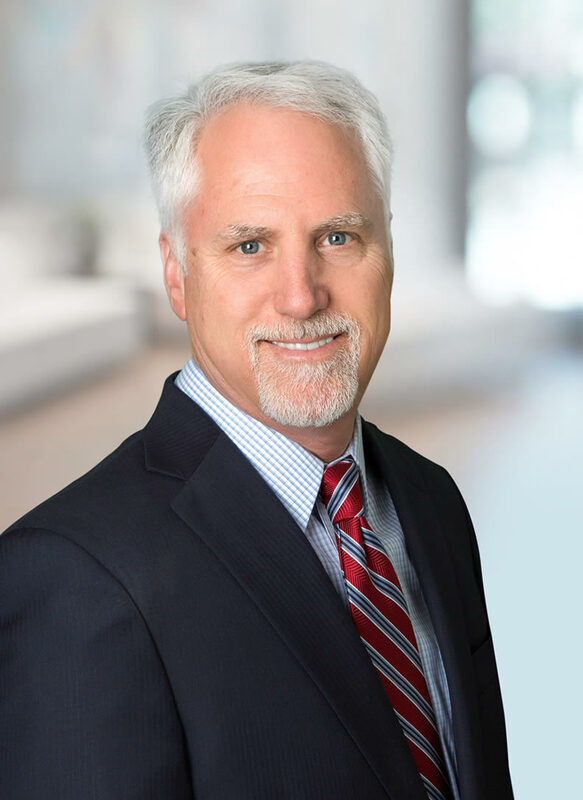 Lawrence (“Larry”) Hilton specializes in complex litigation matters, primarily in federal court, including antitrust claims, Lanham Act trademark and false advertising claims, copyright infringement claims and misappropriation of trade secret claims. Larry also has significant bankruptcy and creditors’ rights litigation experience. Larry’s practice also includes representation of several national franchise brands and national branded retailers. Before joining One LLP, Larry spent most of his prior career at Gibson, Dunn & Crutcher, O’Melveny & Myers and Hewitt & O’Neil. Larry represents the Driven Brands® family of companies, including Meineke Car Care Centers, Maaco America’s Bodyshop, Take 5 Oil Change, Carstar, Drive N Style and Econo Lube N’ Tune, in franchise matters and franchise and trademark litigation matters. Larry has also represented The Galardi Group (Der Wienerschnitzel) and Hansen’s Juice Creations in franchise-related matters. Morton v. Driven Brands, Inc. and Econo Lube N’ Tune, LLC: Larry represented Driven Brands, Inc. and Econo Lube N’ Tune, LLC in a franchise-related litigation case that went to trial in 2016. Larry obtained a complete defense verdict and an attorneys’ fees award in excess of $400,000. Meineke Car Care Centers, LLC v. Keller & Sons, Inc.: Larry represented Meineke Car Care Centers, Inc. in litigation with a multi-unit franchisee of Meineke centers in the United States District Court for the Central District of California, with claims and counterclaims in excess of $6 million. The matter was resolved with Meineke taking back all twelve of the franchises. Maaco Franchising, LLC v. 5296, LLC, et al. : Larry currently represents Maaco Franchising, LLC in franchise and trademark litigation with a former Maaco franchisee, which is currently pending in the United States District Court for the Central District of California. Maaco recently obtained a right to attach order and is in the process of seeking the appointment of a receiver to enforce the writ of attachment. Maaco Franchising, LLC v. Elsayed: Larry represented Maaco Franchising, LLC in franchise litigation with a former franchisee pending in the United States District Court for the Northern District of California. Carstar Franchisor SPV LLC v. Sunnyvale Auto Body: Larry currently represents Carstar Franchisor SPV LLC in franchise litigation with a former franchisee pending in the United States District Court for the Northern District of California. Larry also represents Sprint Solutions, Inc. and Nextel of California, and their master retailer, Vincent Huang & Associates, in disputes with branded pre-paid wireless retailers operating under the “Boost Mobile” brand. Fernandez v. Sprint Solutions, Inc.: Larry represents Sprint Solutions in a dispute brought by a terminated Boost Mobile retailer claiming that his termination as a Boost Mobile retailer was wrongful. The case is pending in Hidalgo County, Texas. Larry represents the State Bank of Texas in matters involving judgment and lien enforcement, including State Bank of Texas v. Parabia, currently pending in the United States District Court for the Southern District of California. Larry has represented several national banks in receivership and judicial foreclosure matters, including Bank of America, Wells Fargo and JP Morgan Chase. City National Bank, N.A. v. A Lotta Storage: Larry represented A Lotta Storage, a self-storage operator in Tucson, Arizona, and its individual shareholders/guarantors in defending a judicial foreclosure and receivership action brought by City National Bank. The matter was successfully resolved with A Lotta Storage retaining full ownership of the property. Wells Fargo Bank, N.A. v. Windmill Square-Commercial, LLC: Larry represented Windmill Square-Commercial, LLC, a self-storage and retail operator in San Jacinto, California, in defending a judicial foreclosure and receivership action brought by Wells Fargo Bank. The matter was successfully resolved with Windmill Square-Commercial retaining full ownership of the property. Econo Lube N’ Tune LLC v. Dicran, Inc.: Larry represented Econo Lube N’ Tune, Inc. in a franchise dispute and receivership action brought in San Bernardino Superior Court against a former franchisee. Bank of America, N.A. v. Carrion, LLC: Larry represented Carrion, LLC and its individual owners/guarantors in a judicial foreclosure and receivership action brought by Bank of America for a commercial property located in Glendale, Arizona. The matter was successfully resolved with Carrion, LLC retaining ownership of the property. Larry’s publications include: “Antitrust and Foreign Competition: Proposals for a Dynamic Approach to Market Power Analysis” 26 Texas Int’l L.J. 315 (1991) and “Legal Approaches and Technical Tools to Assess Water Agency Claims for Damage,” August 2004 Groundwater Resources Association of California “Perchlorate in California’s Groundwater” seminar. His published opinions include: Standard Ins. Co. v. Saklad, 127 F.3d 1179 (9th Cir. 1997); Seismic Reservoir 2020, Inc. v. Paulsson, 785 F.3d 330 (C.D. Cal. 2015); TYR Sport Inc. v. Warnaco Swimwear Inc., 679 F. Supp. 2d 1120 (C.D. Cal. 2009); Pulaski v. Chrisman, 352 F. Supp. 2d. 1105 (C.D. Cal. 2005); Castaic Lake Water Agency v. Whittaker Corp., 272 F. Supp. 2d 1053 (C.D. Cal. 2003) and Imperial Corporation of America v. Belamide (In re Imperial Corp. of America), 92 Fed. Appx. 469 (9th Cir. 2004). Quoted by Darren Rovell on CNBC program regarding competition in elite-level swimming equipment market. Larry is admitted to practice before all state courts in California and Texas, and the following federal courts: the United States Court of Appeals for the Ninth Circuit, and the United States District Courts and Bankruptcy Courts for the Central District of California, the Southern District of California, the Eastern District of California, the Northern District of California, the Eastern District of Texas and the District of Colorado.